Looking for our 2013-2014 College Bowls Contest? The Crimson Tide beat the Fighting Irish 42 to 14 last night, giving Alabama their third BCS Title in four years. Congratulations to all of you. We will be in touch with each of the winners individually later today to let you know how to claim your prize. We’d also like to thank everyone who took part in both contests. As you can see from the leader board, it was a really close contest even at the very end – and even second and third place had to be settled by the tiebreaker. We hope you all enjoyed taking part in the. If you did, then we have some good news: we’re going to be doing it all over again very soon when we launch our March Madness Contest! Keep an eye on our Facebook page or on Twitter for the latest news! We’d love to have you take part all over again. Texas A&M were victorious over Oklahoma. Ole Miss beat Pittsburgh. Arkansas squeaked a win against Kent St. The weekend’s games have definitely resulted in some changes in our College Football Bowls Contest leader board, but Everman82 is still sitting pretty at the top – now two points ahead of everyone else, which means she’s guaranteed to win first place. Congratulations! Meanwhile, depending on how things play out, anyone currently tied for second or third place could also find themselves a winner after tonight’s National Championship Game. It’s almost certainly going to come down to a the tie-breaker in determining who wins what, so make sure that you log in and double check your answer to the tiebreaker question here. Here’s a full list of everyone currently ties for either second or third place: GoNoles, Taylor entry 1, TheByrdMan, vikingFan, amelia123, Coach T, [email protected], David, FootBall Queen, galwayboy, mgaddington, Nick B, NTC, phraseman, Red hot mama, and spencerc15. There are just four games left, including tonight’s Cotton Bowl clash between Texas A&M and Oklahoma – right here in Arlington! Everman82 is still clinging on to first place on our leader board, but the number of people chasing her in joint second and third place is growing. I predict that we could be looking at a very different leader board come Monday morning. In fact, it could come down to the wire – possibly even to the tie breaker for the National Championship game! Don’t see your name on that list? Or are you much lower on that list than you’d like? Remember, you could still have a chance to be a prize winner by entering our Sweepstakes contest using the widget at the top of this page. Even if you’ve already played, there is still time to earn additional entries. The more entries you get between now and the close of the contest, the greater your chances of being randomly selected as our Sweepstakes winner. The best way to rack up a bunch of entries is to email your unique link (use the widget above to get it) to as many friends, relatives and co-workers as possible and get them to enter the Sweepstakes too. The more people who click on your personal link, the more entries you get! So go ahead, email it to everyone you know, post it on your Facebook wall, Tweet it, post it in any college football forums you’re a member of… wherever you think people will click on it to get you more entries! Thanks for taking part and good luck! Louisville’s surprise upset over Florida last night means that our leader board hasn’t changed much since yesterday, although a few more people have ascended to increase the number of people tied for third place. Congratulations to those: amelia123 and [email protected]. With more than 30 people separated by just 3 points, it is genuinely possible for anyone to take home a prize by next Monday night when the National Championship game takes place. Happy New Year to all of y’all! I hope you had a safe weekend and got to watch plenty of exciting football. Let’s take a minute to congratulate those people currently ranking at the top of our leader board. In first place: Everman82. In joint second place: Black Wisdom, [email protected], FootBall Queen, GoNoles, NTC, Red hot mama, spencerc15, TheByrdMan, vikingFan. In joint third place: Brynnboo, galwayboy, mgaddington, Taylor entry 1, WW Chicken Dinner. If you don’t see your name up there, don’t worry – there’s still a chance you could finish in the top three and claim a prize. There are still six games left. Of course, you can still earn more entries in our Sweepstakes contest using the widget at the top of this page – the more entries you get in the next five days, the more chance that you will be chosen as the winner! Friends and family members who didn’t enter the Bowls Contest can still register to take part in the Sweepstakes too! There are just 10 days and 24 games left in our College Football Contest – and no one has predicted every game correctly so far. This means that virtually everyone has a chance to steal first, second or third prize at this point! Congratulations to [email protected], FootBall Queen, Jeff long, mgaddington, MKearby, NTC, Red hot mama, RossTheBoss, and vikingFan who are all currently tied for first place with 10 out of 11 games correctly predicted! Check out the full leader board here. The number of people currently tied for first place narrows to just three: Everman82, MKearby, and vikingFan. Check out the full leader board here. There are still 27 bowl games to go, so there's still plenty of opportuinity for you to catch up. Remember - you can create additional chances to win a prize by entering our simultaneous Sweepstakes contest by using the widget above. It’s really easy , just follow the instructions in the widget at the top of this page. I hope you all had a good Christmas and that you got to enjoy the snow yesterday - rather than it causing you any problems. It looks like SMU's surprising victory over Fresno State has made our contest leaderboard more interesting, as we now have just four people tied for first place: Everman82, MKearby, vikingFan, and wildtxcat. There are still a lot of people just one point behind though, so they could be caught soon! You can view the full leaderboard here. BYU take on San Diego State in the S.D. County Credit Union Poinsetta Bowl tonight. If you haven't already registered and made your picks there is still time! Click here to register and check out the leaderboard so far. Hope y'all had a good weekend. In case you didn't already know, Arizona beat Nevada 49-48, and Utah St. beat Toledo 41-15 on Saturday. A lot of you predicted both games correctly. If you didn't, don;t worry - there are still lots of games left. In fact, if you still haven't even registered yet, you can still get in on the action - you're just going to be 2 points behind starting off. But you can still catch up! Click here to register now and select your picks for the remaining games. You can also continue to earn entries in our Sweepstakes Contest throughout the duration of all bowl games - just scroll down to enter. The first bowl games kick off tomorrow - so if you haven't already entered, you need to make sure that you do it TODAY!! The Anderson Law Firm is happy to announce that we are once again hosting a NCAA College Football Bowls Contest! Click here to register and make your picks! Remember: the first games take place on Saturday, December 15 – so you must have completed your picks before then! Once you’ve registered, you’ll be asked to pick who you think is going to win every one of the NCAA College Football Bowl Games. For each outcome you predict correctly, you’ll earn one point. After all the games have been played, the person with the most points wins. This year, we are also running an additional Sweepstakes Contest in addition to the Bowls Contest. In order to take part in the Sweepstakes, you must promote our contest on Facebook, Twitter, and Google Plus using the widget below. Each action you take earns you one entry into the sweepstakes. After the main contest has concluded, one lucky winner will be drawn from all the Sweepstake entries. 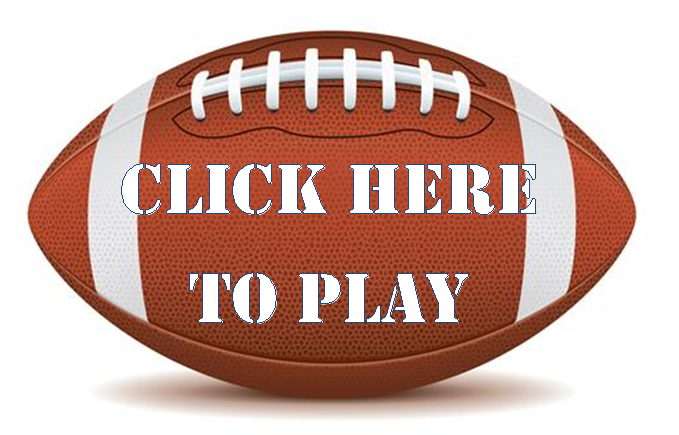 You must enter using the widget below in order to be considered entered in the sweepstakes as participating in the Bowl picks contest does not alone enter you in the sweepstakes. This contest is free to enter and open to all ages. The only restriction is that you must be a resident of Texas. Full contest rules will be viewable once you register to participate.